Install the EN-652 holder (1). Lock the flywheel (2) or the automatic transmission flex plate via the starter ring gear. 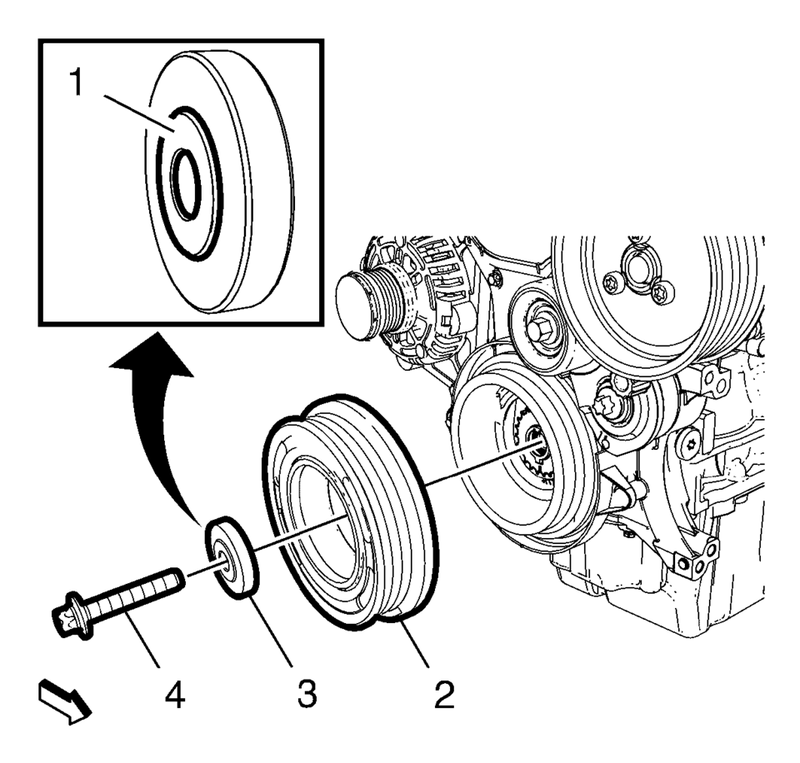 Remove and DISCARD the crankshaft balancer bolt (4). Remove the crankshaft balancer washer (3). 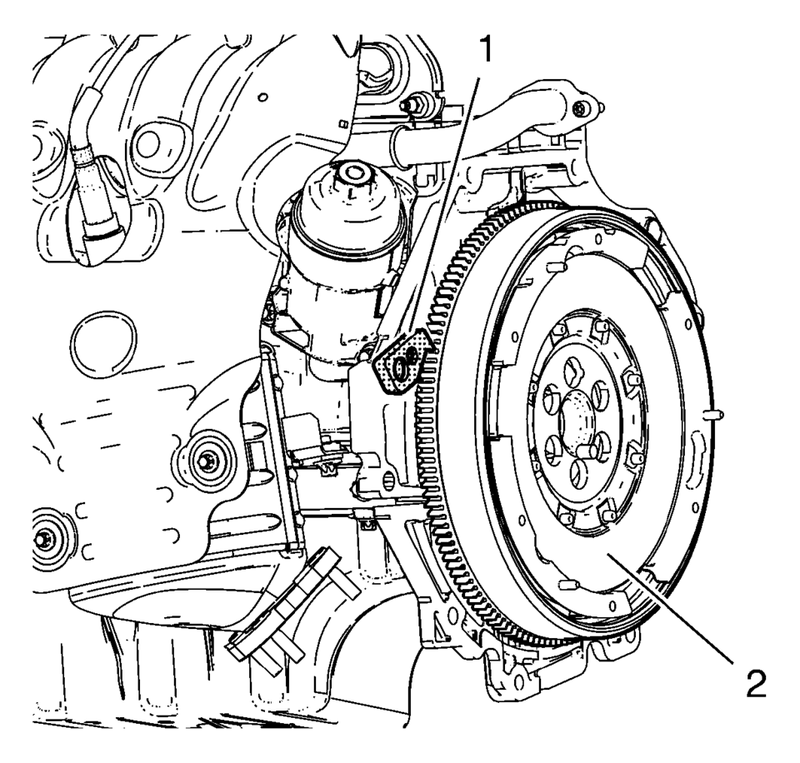 Remove the crankshaft balancer (2).